Iraqi Prime Minister Haider al-Abadi said Sunday he would stand for re-election in May at the head of a new coalition, buoyed by victory over the Islamic State group. "The cross-sectarian Victory Alliance will work for all Iraqis, enhance the country's unity and national sovereignty, rectify mistaken courses and achieve justice and equality among Iraqis in terms of rights and duties", al-Abadi said in a press statement. Hashed Al Shaabi formed in 2014 after Ayatollah Ali Al Sistani, Iraq's top Shiite cleric, urged citizens to take up arms against ISIL militants. 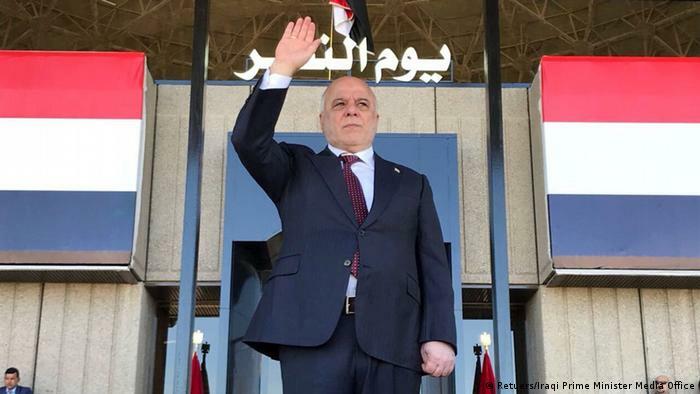 "When Abadi imposed the above mentioned conditions on Maliki, knowing the stubborn man he is, he knew Maliki would refuse, leading up a justified exit from the coalition's electoral the list dubbed (Victory)", the source explained. "For Abadi, it's a pragmatic choice but it's also a bad sign for the long-term integrity of Iraq's democracy", he told The National. Abadi revealed his "Nasr al-Iraq" alliance would present itself at the spring elections, Arabic for "Victory for Iraq". Many militia leaders subsequently formally resigned from positions in armed groups. Al-Sadr expressed his deep surprise at the inclusion of the PMF calling them an "abhorrent sectarian dichotomy", that is aimed at reproducing a "corrupt political class". Al-Abadi's main challenger is expected to be Nouri al-Maliki, who served as prime minister for eight years before stepping aside in 2014. He remains a powerful political figure as head of the Dawa and the largest political block in the current parliament. Since then, Iraqi forces backed by a US-led coalition have gradually retaken all of the territory once held by the extremists. Al-Maliki, who now serves as one of three vice presidents, was widely accused of pursuing sectarian policies that alienated the country's Sunni minority, leading many Sunnis to initially welcome IS as liberators. Dawa Party neutralists say that this separation offers diversity will benefit the party and for the State of Law Coalition, because there are those who support Abadi and do not back Maliki, and vice versa. Abadi is a Dawa member but he didn't secure Maliki's endorsement for his candidacy. In response, the Dawa party said its supporters could choose between the two coalitions. Could Chance Bridge the AI Empathy Gap?